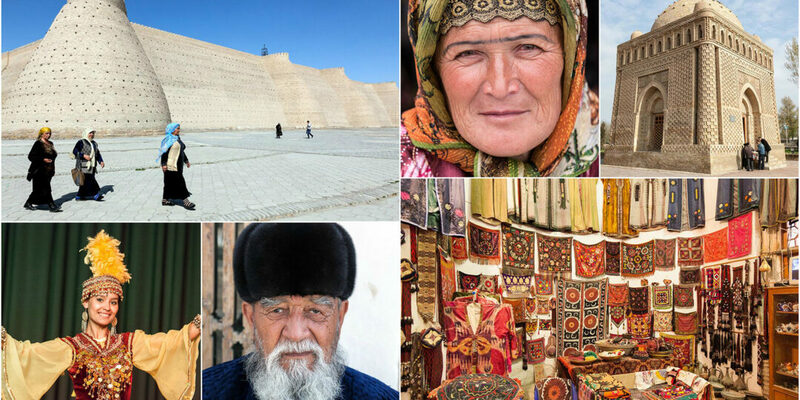 On this once-in-a-lifetime nine-day tour, you will discover the beauty and marvels of historic Uzbekistan, the jewel of Central Asia’s Silk Road. 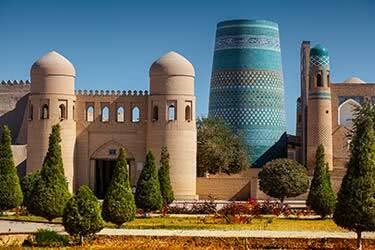 Explore capital city, Tashkent, the center of Islamic study and home to towering minarets and porticos and the grave of Tamarlane himself. 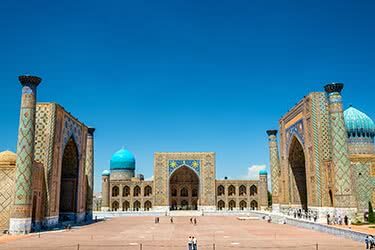 From there, enjoy the stunning countryside sweeping past the window of your carriage en route to Samarkand with its fragrant bazaars, vast squares and labyrinthine necropolis. 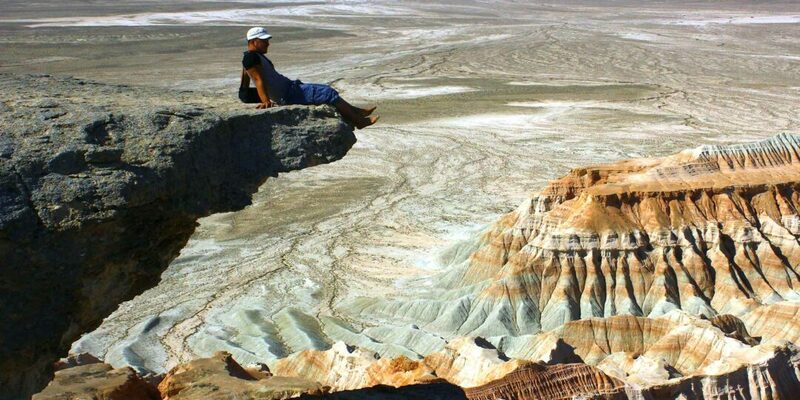 Marvel at the architecture of World Heritage sites, Bukhara and ancient Khiva and witness Uzbekistan’s natural wonders, the deserts of Kyzl Kum and the great Amy Darya River. 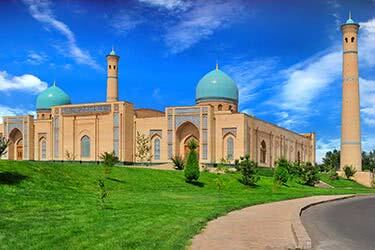 Spend your first day acclimating to mesmerizing Uzbekistan in the nation’s capital, Tashkent. 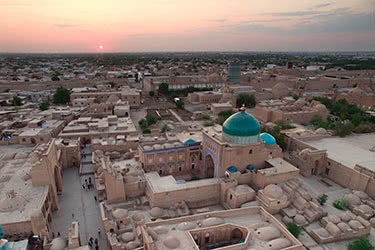 Check in to your comfortable hotel and take to the streets to explore the bustling Chorsu Market; in the ‘cultural capital of the Muslim world’, make like a pilgrim and visit the sacred Khast Imam Mosque Library to see the world’s oldest copy of the Quran and marvel at the countless minarets, mausoleums and madrassas. 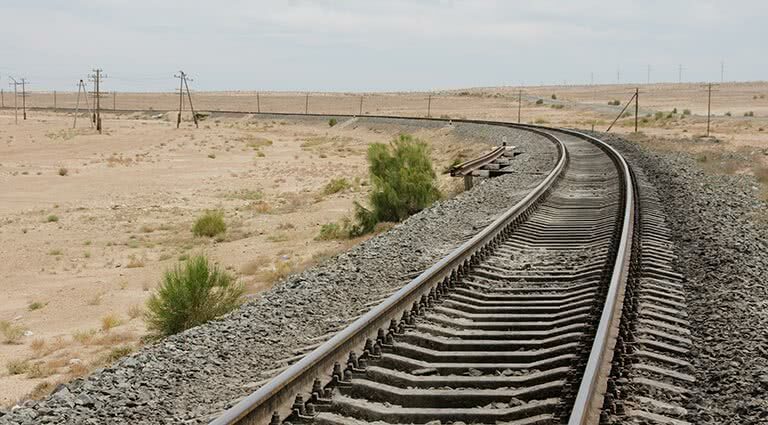 Travel aboard the Afrosiab rapid train from Tashkent to historic Samarkand, the cornerstone of Tamerlane's mighty empire. 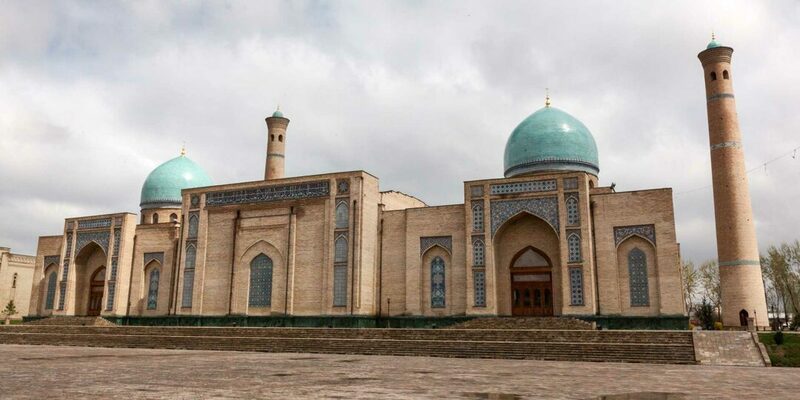 See the vast and intricately decorated, turquoise-domed Bibi-Khanym Mosque; experience local delicacies in the Sivab bazaar; wander among the fountains of Registan Square and marvel at the architecture of its three stunning madrassas, decorated with mosaics and minarets. Finally visit the final resting place of Tamerlane himself at the mausoleum where lies his entire dynasty. 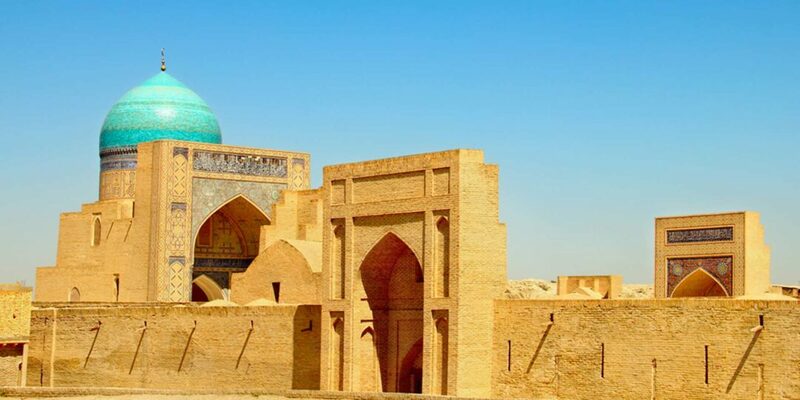 Continue your tour of the wonders of Samarkand with a visit to Shah-i-Zinda, a necropolis formed over nine centuries; the elaborate mausoleum complex is the burial site of Kusam ibn Abbas, the cousin of the Prophet Mohammed. 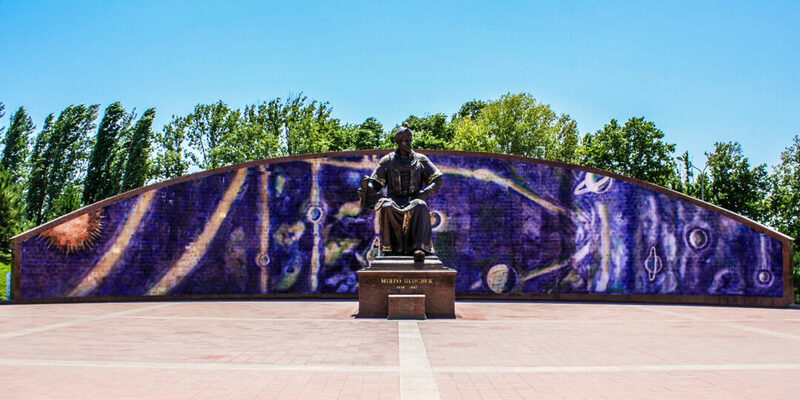 Gaze at the sky from the the seat of Islamic astronomical discovery - the 15th-century Ulugbek Observatory and learn ancient paper-making methods at the old paper mill. Round off your day of culture at the theater with a traditional El-Merosi performance. 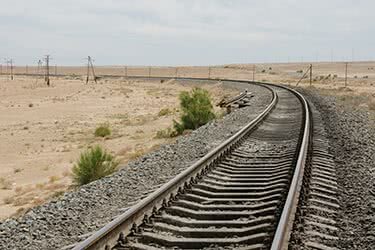 Board the train destined for historic Bukhara and enjoy gliding through the majestic Uzbek scenery. 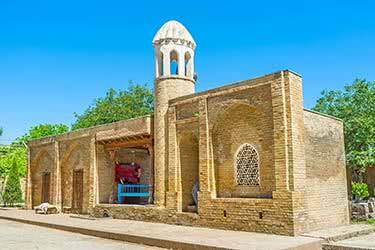 After checking into your cosy accommodation, stroll to one of holy Bukhara’s most important sites, the Po-i-Kalyan complex. 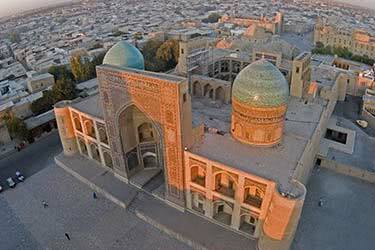 Its mosque and madrassa surround the skyscraping minaret, which has served as a lighthouse for travelers on the Silk Road and as the site of medieval executions. Continue your exploration of the city-museum with a peaceful stroll around the shady pond at Lab-i-Hauz, framed by three beautiful buildings and take in the intricate mosaic work that covers central Asia’s biggest mosque. 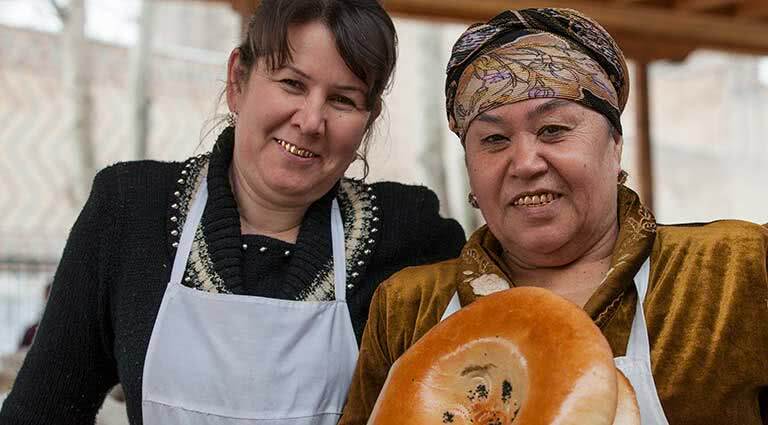 Experience local craftsmanship at the Dome of Jewelers and the Dome of Hatters. 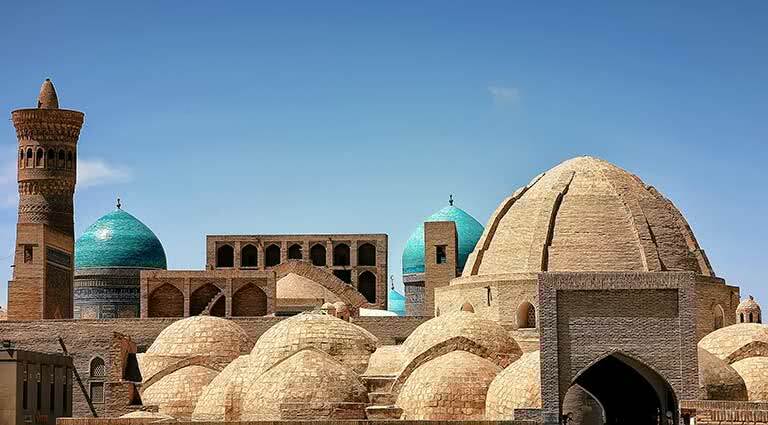 In Samani Park, be amazed by the architecture of the Ismail Samani Mausoleum - the final resting place of the Samanid Dynasty. Before you leave the UNESCO World Heritage site, visit Buhkara’s opulent royal residences, the Baha-ud-Din Naqshband memorial - a sacred site for Sufi Muslims and wander through the winding alleys of Old Mahalla, the Jewish Quarter. 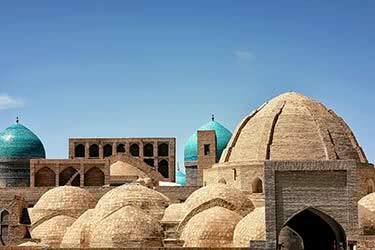 The afternoon is yours to relax, we recommend browsing the domed bazaars of the old town to pick up some souvenirs. In the evening, enjoy dinner aboard the comfortable sleeper train as you travel through the night. 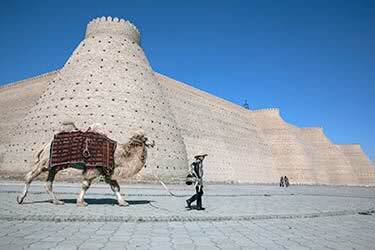 Disembark your train at Urgench and meet your driver who will whisk you to ancient Khiva. 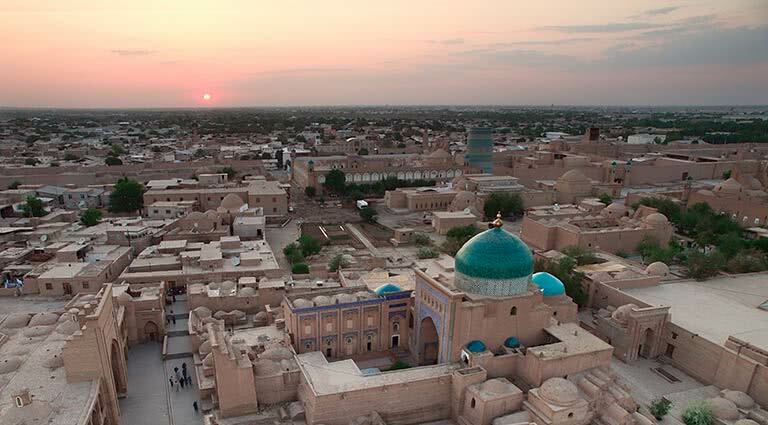 The inner-city, known as Itchan Kala, is the first part of Uzbekistan to be deemed a World Heritage Site; your tour inside the crenellated walls will take in the 10th-century Djuma Mosque, with its hall supported by 112 columns and the mausoleum of Sayid Alauddin. 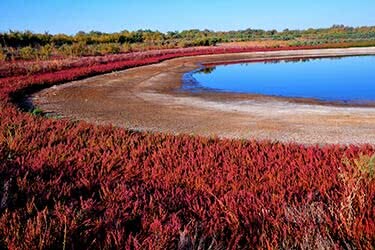 After a day of wonders, enjoy dinner at Toza Bog, the last Khan’s Summer palace. 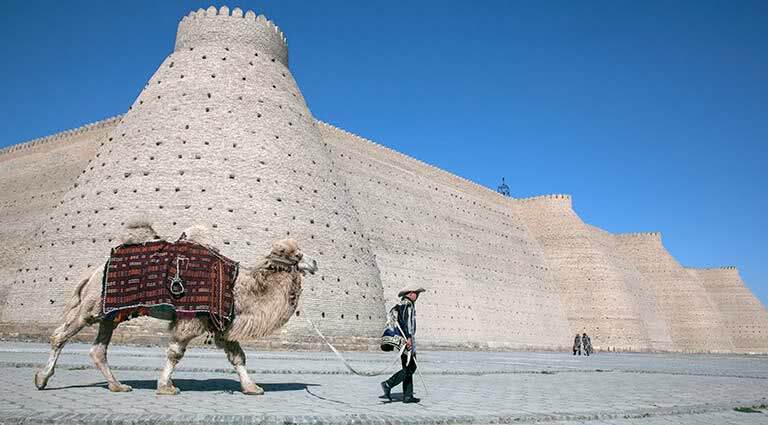 Discover the three hidden fortresses of Ayaz Kala and the crumbling citadel of Toprak Kala, amidst the red sands of the Kyzl Kum Desert, Enjoy lunch in a traditional yurt on the banks of the Amu Darya. 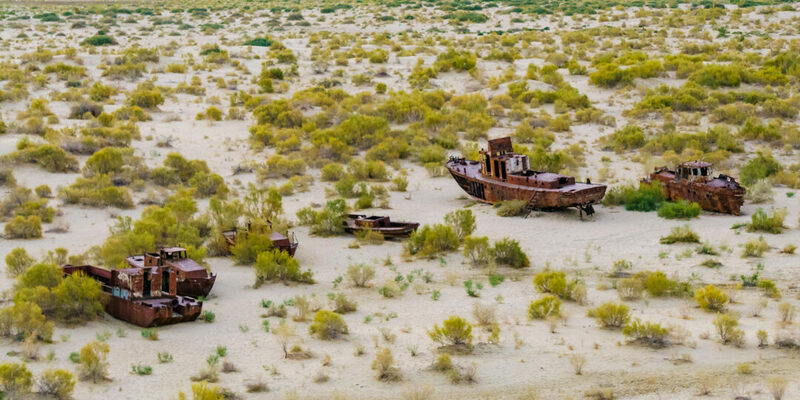 After crossing the great river, you will head for Urgench, ready for your relaxing overnight journey cross-country to Tashkent. 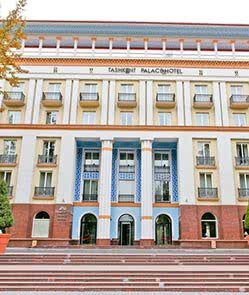 Arrive at your hotel in Tashkent, refreshed from your journey and spend the morning relaxing and strolling around the city. We recommend a visit to the Palace of Prince Romanov with its distinct Russian architectural style. 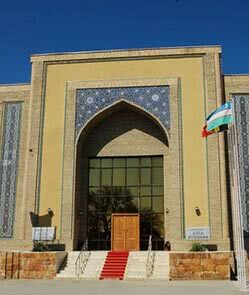 In the afternoon, witness exhibits of authentic Uzbek workmanship in the Museum of Applied Art and plunge into the Art Deco style of Tashkent’s stations. 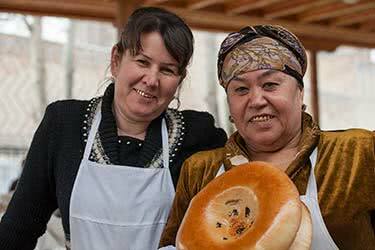 Enjoy a final breakfast in Tashkent ahead of check-out. 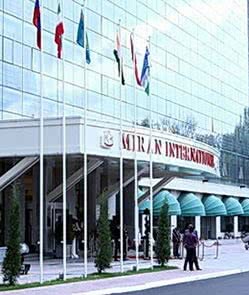 Your driver will meet you at your hotel to take to you Tashkent international airport, ready for your flight home or to your next exciting destination. 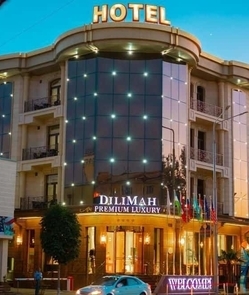 Named after the legendary philosopher, astronomer, mathematician and poet, the Omar Khayyam Hotel offers guests an authentic experience in the heart of ancient Bukhara. With 22 rooms, including one apartment-style studio and several deluxe suites, this property features ornate stucco arches and balconies that overlook a central courtyard. 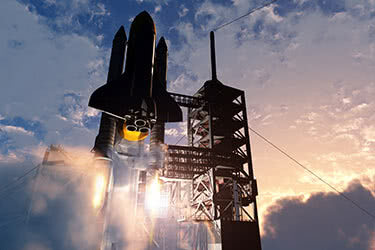 In-room amenities include satellite TV, air-conditioning, fridge, work desk and modern bathroom with hairdryer. 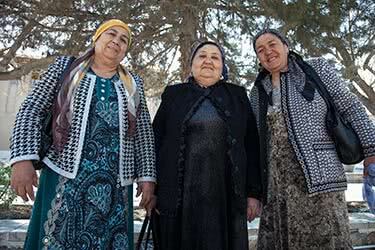 The restaurant serves up traditional Uzbek meals as well as European dishes, vegetarian fare and Korean cuisine. In the summertime, the courtyard sets the scene for an open-air bar and cafe, providing a wide range of drinks and a taste of local sweets. 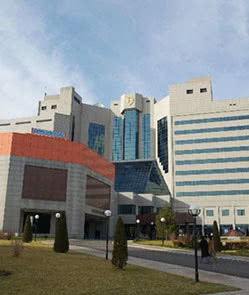 For the executive traveler, there’s a business center with internet access and safety boxes. 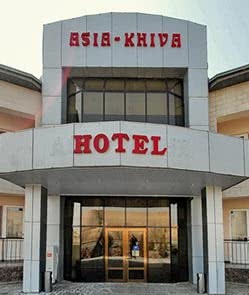 The hotel also provides laundry services and access to medical care, if required. 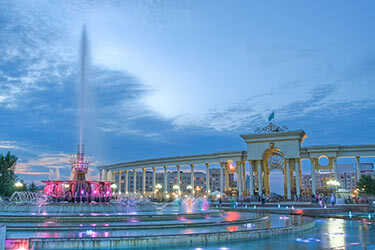 Many of this UNESCO city’s major historic attractions - the Po-i-Kalyan complex and the 5th-century Ark-Citadel, for instance - are within walking distance of the hotel. 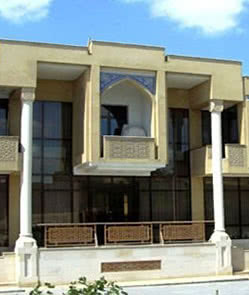 This beautiful hotel located right in the heart of the architectural-urban museum reserve of Khiva’s old town, Itchan Kala, offers a unique accommodation experience. 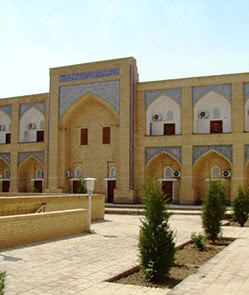 The Muhammad Amin Khan madrasah, built in 1855, was originally, like all Uzbek madrasahs, a school for students of Islam. Today these students’ cells have been renovated into beautiful hotel rooms which, although small, retain the charm and intricate detail of their previous purpose and feature all the mod-cons including mini bar, telephone and en-suite bathroom. 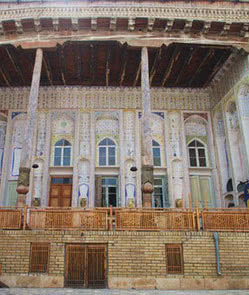 Thanks to its unique and original architecture, the hotel remains pleasantly cool with no need of air conditioning, and guests will be delighted by the beauty of the highly decorative arches and carved wooden doors throughout the reception and in the spacious restaurant. 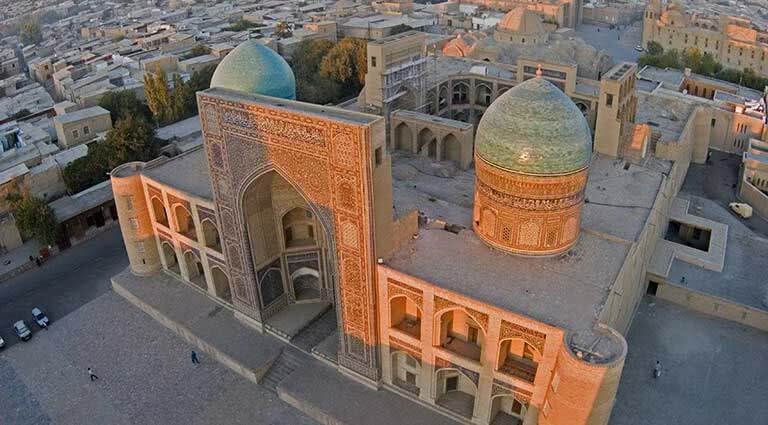 The hotel also features a souvenir shop, an outdoor cafe and a lounge bar and with its ideal location, the wonders of ancient Khiva, including the towering Kuk Minor minaret, lie right on its doorstep.